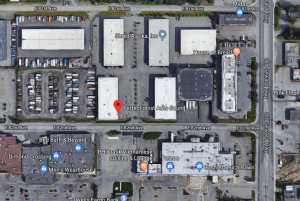 Here at Perfectionist Autosound and Security in Anchorage we are proud to be dealers for the Audison line of car audio products. They build some of the finest quality autosound components on the market today including their line of high end bit processors and the Audison Prima Amplifiers. 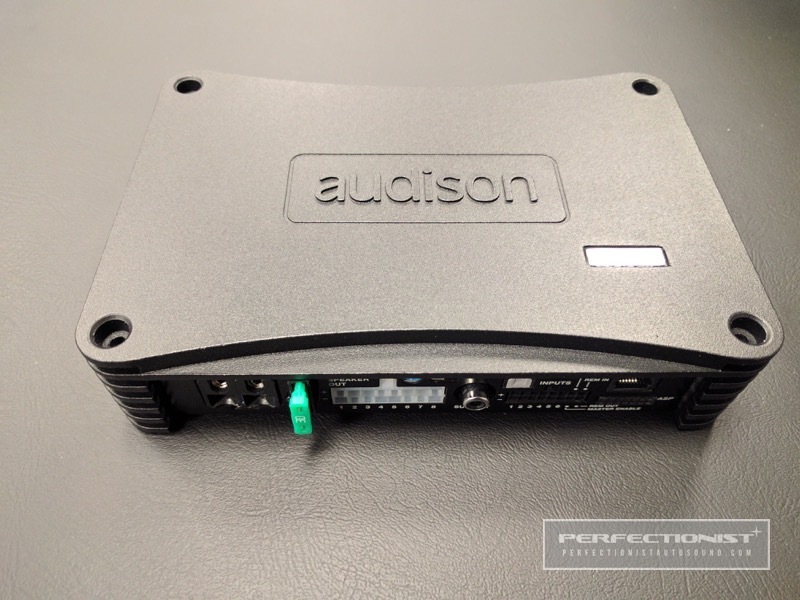 Audison offers several lines of amplifiers and the Prima line is optimized for integration into OEM systems, with built in Bit processing to give you a lot of flexibility when adding onto more complex factory systems – or any head unit of your choice. Many OEM systems will use built in crossovers and equalization optimized for the factory speakers and locations. When you decide to do upgrades, even if you are keeping the factory head unit, these signals need to be restored and processed through the Bit system that Audison has built into the Prima amplifiers. The Bit system connects to a Windows based platform to access the features of the 32 bit, 147 MHz processor with a sophisticated 24 bit digital processor. All of this comes in a line of compact amplifiers that will not take up much space and give you a lot of options to find a location to mount. Even if the factory head unit has separate outputs for different amplifiers and frequency ranges the processor will take it all in. The analog signal is converted to a digital signal for processing – and then the processed signal is converted back into an analog signal to be amplified and sent on to whatever speaker set-up you have. It can even take separate signals for subs, mids, and highs – and sum it all together for a single full-range output. Built in factory equalization can be restored to a flat signal with the de-equalization feature built into the Prima amplifiers. Once you have converted and restored the signal the Prima amplifier takes it to the next level with individually adjustable channels, controls for parametric equalization, and 68 built in crossover points with adjustable slopes and signal delay. Audison has engineered everything with a logical and orderly set-up and it even includes a set up disc to dial the system in for the very best quality sound. The Audison Prima Amplifier line has 5 amplifiers for all the system design flexibility that you could ever ask for. They are available in eight channel, five channel, and four channel versions with built in Bit processors – and a four channel or a mono sub amplifier for additional flexibility. 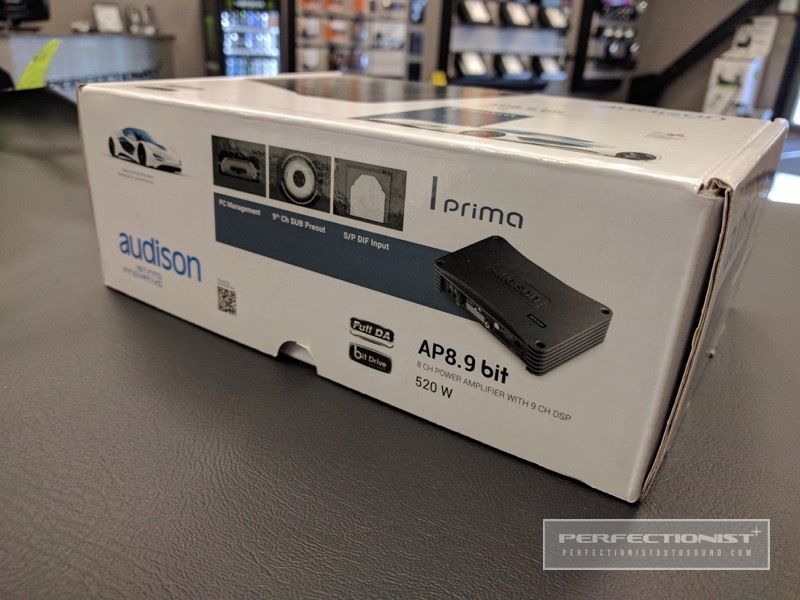 Come on by Perfectionist Autosound and Security to see the entire line of Audison Prima Amplifiers and let our experts show you what will work for you – or click HERE for more information.